So what is it about Jessica Alba that makes the paparazzi follow her around on a constant basis? Well, we can think of a couple of obvious reasons — one, she’s a hot momma. And two, she’s got this always effortlessly chic style, whether she’s out running errands or making a red carpet appearance. Plus of course, there’s the fact that people enjoy watching her. See. Per usual, Jessica Alba made looking fabulous off the red carpet seem so easy. Do you want to know how she does it? The trick is in the accessories. It just so happens that she has a talent for picking the right ones — all the time. For example, she chose metallic sandals to give her look a dressier feel. She also picked a studded purse from Jimmy Choo to give her look a dose of edgy drama. 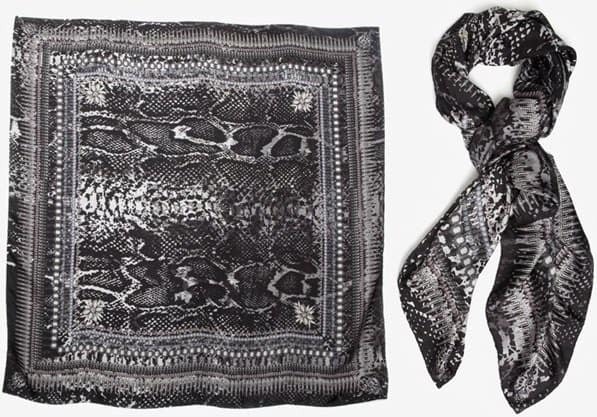 And of course, let’s not forget the last layer — a really stunning scarf that pulled everything together with its one-of-a-kind print. It added just enough polish to make the outfit fly. Are you ready to steal her style? Alternately, if $285 is a tad too pricey for your pocket, you may grab this super affordable infinity scarf from Collection XIIX instead. It features the same black-and-white print but comes with a bit of sparkle. 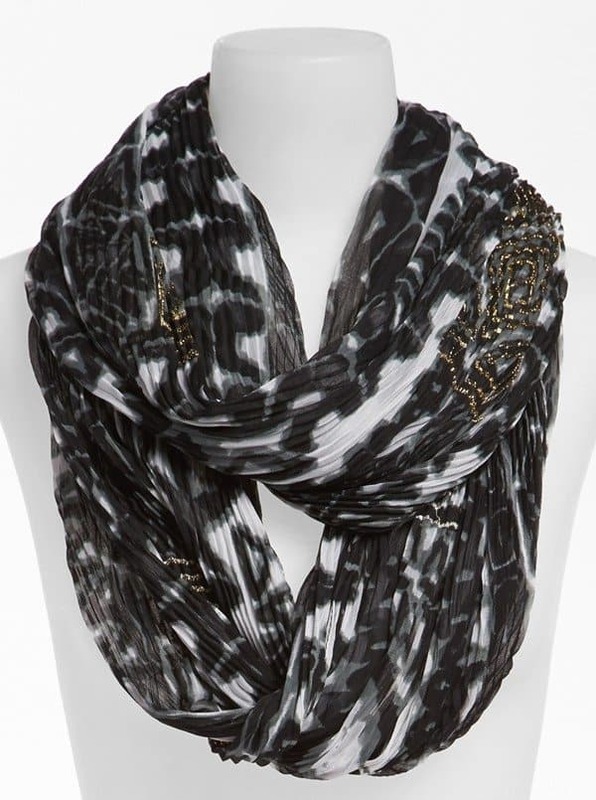 A tribal-inspired print vivifies a pleated infinity scarf shot through with metallic sparkle.